After our electronic newsletter is emailed; we post links to each issue here. Visitors can always reference this page as the place to read all of our previous newsletters. Birth Injury: What Is Shoulder Dystocia? Shoulder Dystocia is a form of obstructed labor and is considered an obstetric emergency. 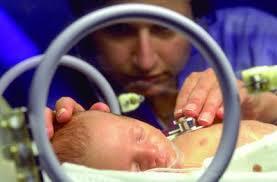 It is diagnosed when the fetal shoulders fail to deliver shortly after the fetal head. This happens when after the delivery of the infant head, the anterior shoulder of the infant cannot pass below, or requires significant manipulation to pass below, the pubic symphysis (cartilage connecting the pubic bones). Many instances of shoulder dystocia can be anticipated and prevented if the warnings signs are heeded by medical professionals. There are some instances of shoulder dystocia that cannot be anticipated. However, injury to the infant can still be prevented if the appropriate steps are taken once the shoulder dystocia occurs. Click here to read more about the risk factors and complications Shoulder Dystocia. As part of our ongoing commitment to assist clients throughout southeastern Missouri, Matt and Matt will host monthly ‘law days’ in Ste. Genevieve. Our firm has a large client base from this region of the state and it is our goal to make meeting with them as easy as possible. During the designated law days, Matt and Matt are available to meet with current clients, as well as potential clients. If you or someone you love has been injured by the negligence of another, you may be entitled to compensation for things like medical expenses, lost wages from time off work, pain and suffering. Are you unsure if you need to hire a personal injury attorney? Then your best course of action is to have an experienced personal injury attorney review the circumstances of the negligence and resulting injury. 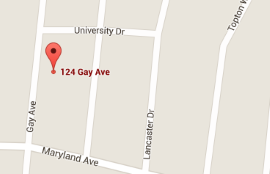 Residents of southeastern Missouri should contact our office to schedule an appointment. We can be reached at (314) 421-0763 or info@caseydevoti.com. 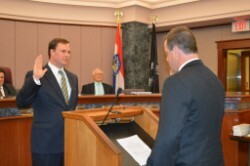 In April 2018, Partner Matt Casey will end his two-term stint as Council member for the City of Richmond Heights, Missouri. 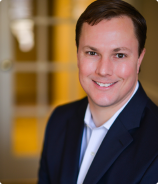 For the past six years, Matt has devoted his time and energy to the betterment of Richmond Heights—working with residents and the local business community on projects that will strengthen and grow the city for future generations. When Matt first joined the council in 2012, the economy was slowly recovering from the economic downturn of 2008; investors had pulled out of several previously proposed projects. 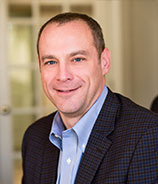 Over his six years on the council, Matt and the other members were instrumental in approving several new retail and residential projects that turned blighted areas into thriving, revenue-generating showpieces for the city. In January, Richmond Heights Mayor Jim Thomson along with a group of 25 mayors from across the St. Louis Metro area, joined together to take the ‘Buckle Up, Phones Down’ (#BUPD) Challenge – a Missouri Department of Transportation and Missouri Coalition for Roadway Safety initiative to prevent crashes and help occupants survive in the event of a crash. Distracted driving is a leading cause of crashes, not only in Missouri, but in the entire United States. The Missouri State Highway Patrol reports that cellphones were involved in 2,237 crashes in 2015 alone. What’s more, of the 938 people killed on Missouri’s roadways last year, 684 were passengers and drivers subject to Missouri’s current seatbelt safety laws. Tragically, 62 percent of these individuals were unrestrained. 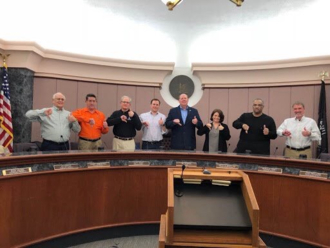 Mayor Thomson and the City Council members, including Partner Matt Casey, all posed for a ‘Buckle Up, Phones Down’ photo during a recent council meeting to show their support of the initiative. As passionate advocates for distracted driving awareness, Matt Casey and Matt Devoti thought it was only fitting for the firm to adopt a safe driving policy. This policy sets guidelines and expectations for all Casey & Devoti employees whether they are on the road driving or in the office. Oftentimes, Matt and Matt travel great distances to make court appearances or to meet clients – especially those in southeastern Missouri and Illinois. Depending on where they must go, they could spend up to 2 hours each way in the car. When everyone in the office has clear expectations of cell phone use while driving, it allows them to focus on the primary task of driving. They can let incoming calls go to voicemail and wait to read incoming texts or emails until they reach their destination. On the other side, the office staff understands that when Matt and Matt are driving, they will not be responding to any voice or electronic messages. It is our hope that other companies and organizations will adopt similar guidelines designed to keep their employees safe on the road. Read the entire Casey & Devoti safe driving policy and make a recommendation to adopt a similar one for your organization. 6.4 million Americans abuse controlled prescription drugs. One of the ways to combat opioid abuse is to dispose of unused painkillers, so these drugs don’t fall into the wrong hands. 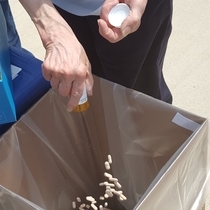 The Drug Enforcement Agency (DEA) hosts National Prescription Drug Take Back Days as a way for the public to safely and anonymously dispose of dangerous opioids. The next Take Back Day is set for Saturday, April 28. Click here to find a collection site near you. If you can’t wait until the National Take Back Day, the link also includes sites that will accept drugs any time. This past month, Matt and Matt enjoyed celebrating Easter with their families. Matt Devoti and his family attended Easter services at St. Ambrose Catholic Church on The Hill in South St. Louis. 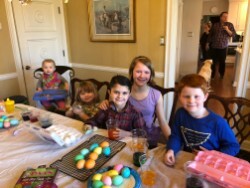 The Casey kids dyed eggs before sitting down to a celebratory Easter dinner with extended family. 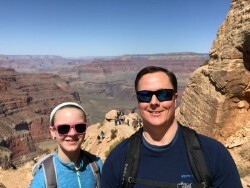 In early April, Matt Casey took his daughter Evelyn to Arizona for Spring Break, where they enjoyed exploring Sedona and hiking in the Grand Canyon. Matt and Matt hope everyone enjoys springtime in St. Louis with warmer temperatures and Cardinals baseball. Client Survey Winner: Doris M.
Thank you to our past clients who graciously provided feedback for our 2017 year-end survey. We are always striving to provide legendary personal service to our clients and we greatly appreciate this valuable information. As always, we enter all survey respondents into a drawing for a $25 VISA gift card. Congratulations to Doris M. of Ste. Genevieve! Each quarter, Casey & Devoti publishes our safety magazine called Living Safer. This free magazine is brimming with informative articles on all things safety-related. Our latest issue discusses the #MeToo Movement and the road ahead. Sign-up to have this free magazine delivered directly to your house or click here to read the electronic version of the magazine. We are continually posting valuable safety and legal related articles to the Casey & Devoti website and social media pages. Click here to view our latest posts on making a personal injury claim and uninsured/underinsured motorists. To follow our newsfeeds and legal/safety blog updates, make sure you ‘LIKE’ us on Facebook, Twitter or LinkedIn. When you see posts that are interesting to you, be sure to ‘like’, ‘share’ or ‘comment’ on the post so you will continue to see our valuable content.